Wizz Air plans cheap flights to Mumbai in India! It seems we will have soon option to fly to India for really low price! 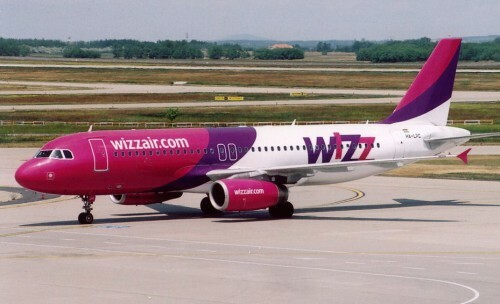 Wizz Air plans to launch first flights to India, specifically to Mumbai / Bombay. According to Mr. Daniel de Carvalho, spokeperson of Wizz Air, the negotiations are still undergoing but it seems to be very possible option. The news appeared after bilateral Air Services Agreement between Hungary and India finalized in recent days. This news is also supported by fact that Wizz Air changed their recent order for new planes: they ordered 90 Airbuses A320 but at the end of September the order was changed to include 26 Airbus A321 which are bigger and can fly to more distant destinations. Airbus A321 can also squeeze up to 40 more passangers on board. The maximal flight distance is 6300 km. Wizz Air would most likely operate the flights to Mumbai with one stopover in Dubai, which is already on the list of their destinations. Let’s hope the negotiations will be finished soon and we will be able to fly to another distant location for good prices! « Cheap flights to Lima, Peru for €471!